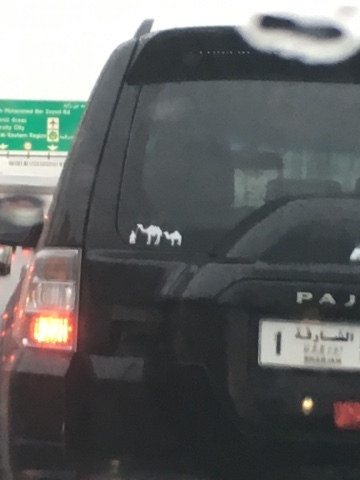 A man and his wife and child (represented by camels) or a man and his actual camels? I'm so confused. Buildings in the Gulf aren't water proof and every time it rains things flood and seep and fall apart.